Tonight is the the equivalent the Oscars awards in the world of sports, because tonight, the best footballer of 2017 will be honored for their achievements at the illustrious Ballon D’or ceremony, which is being conducted in Paris, France this evening. Wow, what a list of stars we have here, and they’re all making their claim to win the most coveted personal award in European football tonight. There’s usually two frontrunners, but in this year’s case, there’s three of them. At the top of the list sit Cristiano Ronaldo, Lionel Messi and Neymar Jr., who will be battling it out for the 2017 Ballon D’or Award. Experts believe that it will be Cristiano Ronaldo who will be crowned as Best Footballer of The Year once again, making it a total of five Ballon D’or’s won for Ronaldo, equalling Lionel Messi’s amount, should he win tonight. 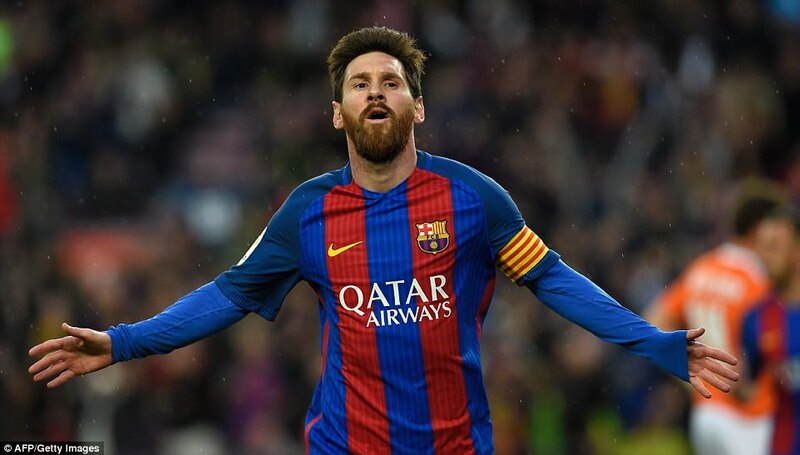 His previous Ballon D’or award wins came in 2008, 2013, 2014, and 2016. This will put Lionel Messi and Cristiano Ronaldo in even more competition for the remainder of the season, not only in La Liga and the Champions League, but the World Cup in Russia 2018 too. With that beckoning on the horizon this summer, there’s a lot of expectations riding on tonights award, as well as the aftermath of the final results. However, not to spoil the party, but there seems to have been a leak of some kind, emanating from the boots that Cristiano Ronaldo wore last night in the Champions League match, which clearly showed that inside his boots, the Ballon D’or Award result has already been decided. Take a look! It looks like Cristiano Ronaldo has this year’s Ballon D’or in the bag, or rather in the boot on this occasion, but are you convinced? Who do you think will win, or at least, deserves to win this years coveted award? Tell us in the comments section below, and state who will win and who you think should really win. Either way, let’s all tune in tonight to see the final result. And… The Oscar goes to….